What do you wear when it’s freezing one day and bright and sunny the next? Whatever you want! 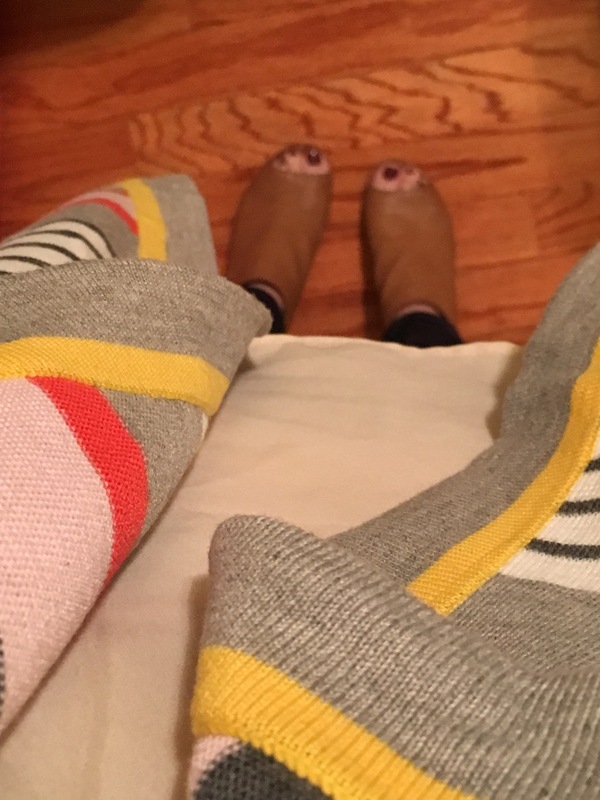 I ditched my normal color palette of black and grey and ventured out of my comfort zone with a bright, cheery striped cardigan. I paired it with some skinny navy pants and my favorite rose gold jewelry, but the cardigan would also work well with my favorite jeans – cuffed, of course – on the weekends.